Synthetic refrigerants (known as Hydrofluorocarbons (HFCs) or hydrochlorofluorocarbons (HCFCs) were developed decades ago for both residential and commercial air conditioning, refrigeration, and freezer applications. They instantly became popular because they were less expensive than the options commonly used at the time — sulfur dioxide, methyl chloride, and ammonia — and worked just as well. They were also much safer for human beings. Unfortunately, after decades of extensive use, it was discovered that they’re very bad for the environment. We now know that HFCs and HCFCs contribute to holes in the ozone layer and the buildup of greenhouse gases in the atmosphere. Because of this fact, many synthetic refrigerants began a slow phase out across the globe about 20 years ago, and the industry began moving over to alternatives that are safer for the environment. The Environmental Protection Agency (EPA) — and its equivalent in other countries — realized that demanding large-scale replacement or retrofitting of HVAC units and appliances across commercial and residential sectors quickly would have put a serious financial and logistical hardship on everyone. Generally speaking, that’s been a good decision for commercial building owners and managers because it means you’ve had plenty of time to plan and budget to comply with refrigerant management mandates. On the other hand, over 20 years without enforcing these laws has lulled some into a false sense of security. The long-standing phase-out of R-22 (aka Freon) is an example of the challenges building owners are facing when it comes to refrigerant management. For over 40 years, Freon was the most popular synthetic refrigerant in use. While the EPA originally announced its intention to eliminate all production and use of R-22 in 1990, no official phase-out plans were provided until 2010. In the meantime, millions of compressors and chillers had been designed and manufactured to run R-22 refrigerant, and Freon had been heavily manufactured in the US and elsewhere. Then, starting in 2013, the EPA instituted a significant reduction in the chemical’s production. The phase-out of R-22 has been aggressive since then, aiming for a January 1, 2020 deadline, at which time, no more new R-22 will be manufactured or imported into the United States. Naturally, supplies have dwindled dramatically, and the price of Freon has skyrocketed from $10-$12 per pound just a few years ago, to as much as $50 per pound today. That price will only continue to rise as we get closer to 2020. Looking back at the dates, you can easily see where the challenge lies: if you purchased a brand new commercial HVAC system in 2010 that runs on R-22, your operating costs have grown exponentially through no fault of your own, and you have an HVAC system that’s just 6 years old, costing 5 times as much to charge with Freon as it did when you bought it! The R-22 phase-out may be the biggest and most immediate issue most commercial facility managers are facing when it comes to refrigerant management, but the following tips should help resolve any similar issues going forward as well. Get your equipment inspected - Get professional help with a thorough inspection of the system. Determine how much refrigerant it’s likely to need throughout a typical cooling season, measure its efficiency, and use that data as a starting point for smart decision making going forward. For minor leaks or standard charging, paying the higher price may be all you can do - Although it feels wrong to pay 5 times what you used to for recharging, that’s likely a tiny fraction of the cost of replacement, and well worth the price to keep your HVAC system operating efficiently for more of its expected life cycle. Explore retrofitting as an option - While retrofitting older equipment to utilize different refrigerant isn’t always the best option, it could be a smart stopgap for newer equipment with a significant remaining lifespan. Just keep in mind that retrofitting generally hurts a system’s efficiency. Select a reputable refrigerant reclaimer - While phased-out refrigerants can no longer be manufactured or imported, it is still possible to get reclaimed or recycled refrigerant that meets EPA standards. After January 1, 2020, this will be the only legal source of R-22. 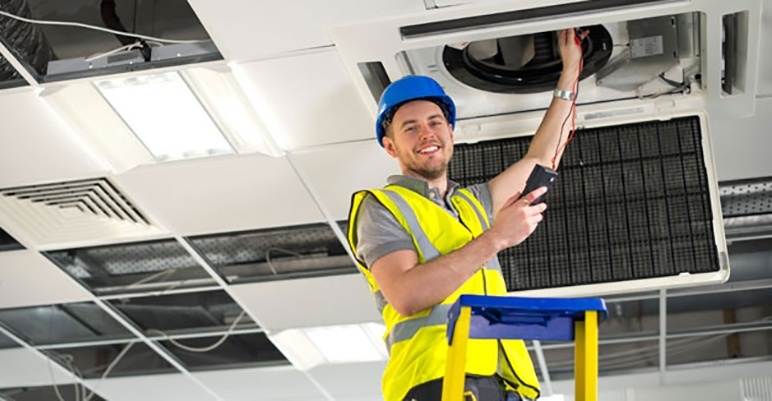 Start planning your HVAC system replacement NOW - While the capital expenditure will be large, it’s better to get ahead of it rather than hiding your head in the sand as the cost of phased-out refrigerant continues to rise. Talk it up as part of your company’s green initiatives and be sure to explore any available grants, incentives, or rebates available to buildings making this hefty investment. If a building you own or manage is facing the R-22 phase-out directly, or you want to learn more about effective refrigerant management, the energy engineers and qualified technicians at Tolin Mechanical are happy to help. Contact us with any questions or concerns.